When consumers travel, the biggest challenge may not be the jet lag or extensive security check-points encountered during the trip. The most prevalent issue might be posed when preparing to travel, when packing for the journey. It can be a struggle to know exactly what items will be needed during the trip, and once this has been estimated, how to fit them all in a conventional suitcase might be tricky. Many consumers may find themselves heading out to shop at the last minute, believing that they may need some ensemble or garment that they currently do not possess. Time after time, these individuals may find that they don’t actually need or use many of these final-moment purchases, and that they might have saved their money and the effort expended. Since space seems to be at a minimum when attempting to pack, and also since many travelers are unsure what could arise during their itineraries in terms of events, activities, and outings, it makes sense to try and choose versatile garments that have multiple functions and uses. Perhaps the most practical and invaluable item found that meets this criteria is the simple sarong. A sarong, or pareo, is a simple sheath of fabric that is typically wrapped, draped, and knotted to create a multitude of looks and fashions. This makes it ideal for packing when space is limited and needs are undetermined, such as when going on a vacation or an excursion. 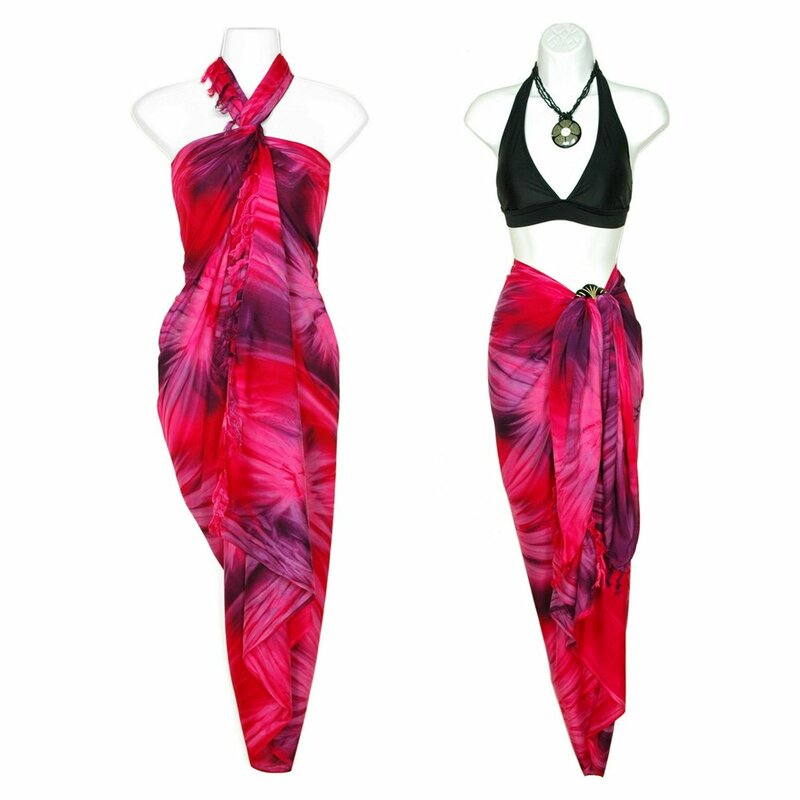 A sarong can be used simply as a shawl or cover up, to warm bare shoulders or to give a bathing suit more coverage. It also can serve as a scarf to wrap around the neck during wind or weather that will help protect the wearer. Some might use their sarongs for a lap throw or a light blanket for naps on the beach or during transits as they travel. More elaborate applications of a sarong include wrapping the fabric around the waist in a variety of ways to create cute, multi-length skirts suitable for any and all occasions. Folding the material lengthwise can create a short skirt that ties in front or on the side, while leaving the fabric open and unfolded makes a longer length skirt appropriate for cocktail parties or balmy tropical nights. Are you looking for a fabulous and distinct gown?